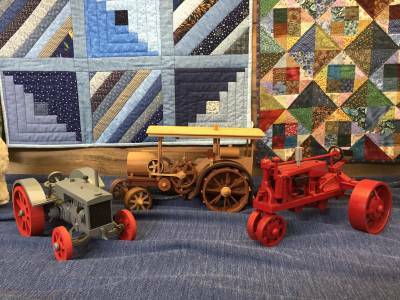 An exhibit of handmade wooden tractors by Harvey K. Waldron of Crystal, MI will be displayed at the Coopersville Farm Museum and Event Center October 16, 2018 through March 30, 2019. Over 50 different models, each a unique replica of a real tractor made without plans just by looking at a picture. 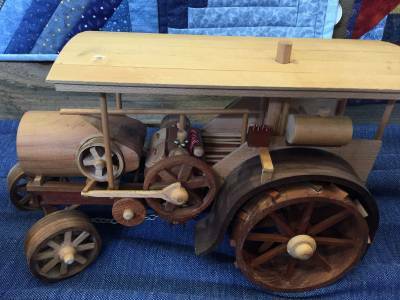 Most models are a depiction of a tractor or steam engine in the era between 1900-1940. 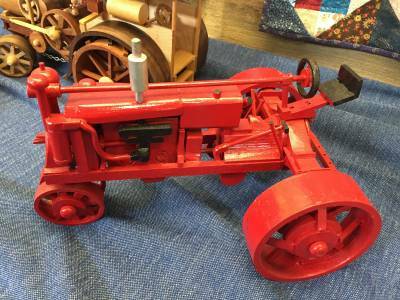 Harvey tried to made models of tractors that unique and/or rare. Hours are Tuesday and Thursday from 10:00-2:00 and Saturday from 10:00-1:00. Adults anr $4.00, Students $2.00, and Children under 3 are free.